Mid Century Large Letter Linen Postcard in Very Good, Unused Condition. 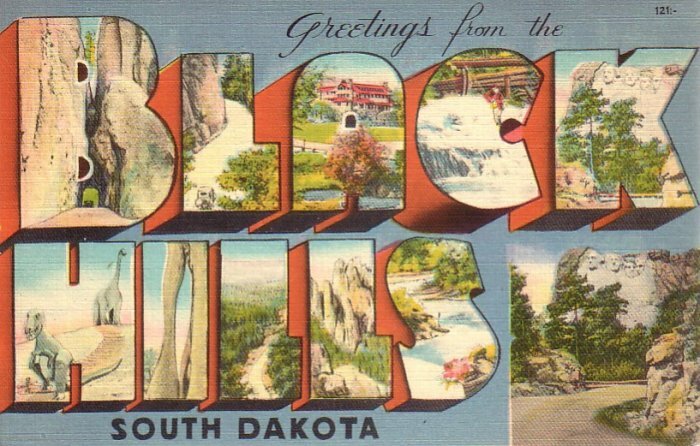 This post card was made by Metropolitan and published by Black Hills Novelty and Mfg. Company. •	Wavy lines on chrome postcards are from my scanner and NOT on the actual card.